The new touches make the third gen of touchAble an all-round winner. Deep, intuitive and tactile control over Live. Full package is expensive for an app (but we think it's worth it). This update of Ableton controller app touchAble adds a raft of handy new features. "It's the closest you'll get to replicating Ableton's own Push controller without buying the hardware"
Top of the list is a selection of 42 templates mapped to Live's various devices, offering deep yet intuitive, tactile control over the bulk of the DAW's instruments and effects. 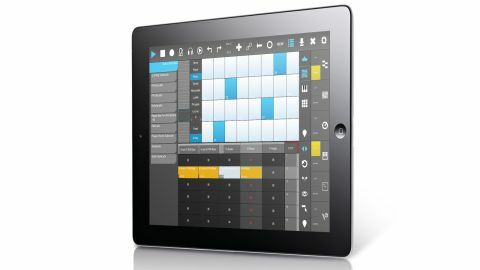 You'll need to pay an extra £16.50 (or equivalent) In App Purchase to get access to them all, but it's money well spent as the whole package is the closest you'll get to replicating Ableton's own Push controller without buying the hardware. Other new touches, such as a redesigned server and the ability to circumvent dodgy Wi-Fi via simple USB connection, make the third gen of touchAble an all-round winner.